Search Engine Optimization (SEO) is an Internet marketing strategy aimed at improving the visibility of websites or web pages in a search engine’s search results. It is good to note that if a site appears earlier and more frequently, it means that it is highly ranked in a search results page. Then it is likely to receive a good number of users. A number of searches can be targeted by search engine optimization including: academic search, location search, video search, image search, industry-specific search, vertical and even news search engines. For proper search engine optimization, it is good to consider what people actually search for. It’s a smart strategy to study specific keywords typed into search engines (even how they are typed—i.e. misspelled), and which search engines are preferred by your targeted audience. You can also study how search engines work based on quality, and unique content that is relevant to the keywords provided. It’s best to avoid duplicate content. You’ll actually create more obstacles using that tactic. Instead, focus on creating unique content and stick to your niche so that search engines can place your work in the top rankings. 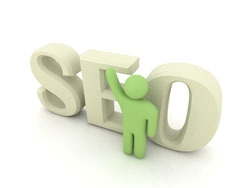 Search engine optimization has several advantages. It is a key tool to getting more traffic to a website from diverse sources. A website without traffic isn’t communicating anything about its owner, or the goods and services they offer. Search engine optimization also helps a website owner earn repeat visitors and build a community. Traffic that is generated from search engine optimization methods is a more permanent. A top ranking lets people know your website is the one to they want to visit. And people who search for sites based on specific keywords are all potential customers. Search engine optimization also helps websites draw more RSS readers, more Twitter followers, and more Facebook fans to their website pages. Since search engine optimization builds credibility and trust, more new and potential customers will see your website, connect to it, share it, and help you grow your business. A website built without effective search engine optimization will miss out on many of the opportunities available through Internet marketing. Search engine optimization is a crucial part of growing your brand and your business. Tip: to measure how effective your search engine optimization is, look at the position of similar websites when using certain keywords on various search engines. Where is your website in the rankings? You can also study web metrics and KPIs (key performance indexes). Both will help you market your website. A complete SEO package requires keyword research, website optimization, backlinking, as well as article writing and submissions. While you can try to perform your own SEO, search engines are frequently changing their algorithms so we recommend a professional that is knowledgeable and up-to-date with the currently requirements. Looking for Search Engine Optimization services? The Complete Webdesigner has three options to help you rank your site. Go to our SEO page for more details.